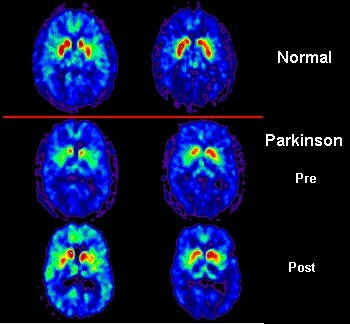 Positron Emission Tomography - scan. A method by which brain sections can be reconstructed using radioactive isotopes for diagnostic purposes. Using several types of isotope, cerebral blood flow, blood volume, oxygen uptake, glucose transport, glucose metabolism can be identified.